Lock in a great price for Hotel SANSEbay - rated 8.9 by recent guests. Staff were incredibly helpful & the room was very clean. The hotel was within walking distance to all the city offered. The location is fantastic! The staff is lovely and we had breakfast which was delicious. Location , good beds and linen. Very helpful staff . 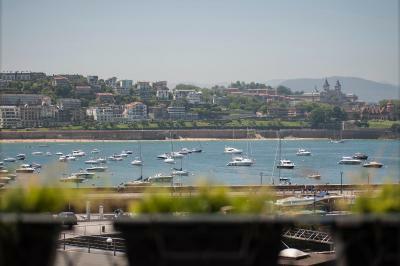 Perfect location, lovely room with a terrace, very personal service, friendly and helpful staff. Coffee, cackes, advice, late check out not a problem. Loved it! Very good location near tapas and pintxos. Very friendly check in staff. Fantastic location and friendly staff. Don’t take a big car as the hotel parking is very tight. 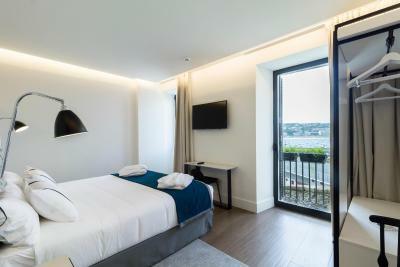 One of our top picks in San Sebastián.Hotel SANSEbay is situated in San Sebastián, in the old town, 100 yards from Calle Mayor and 250 yards from Constitución Plaza. Kursaal Congress Centre is a 12-minute walk from the hotel, while Victoria Eugenia Theatre is 900 yards away. Free WiFi is offered throughout the property. 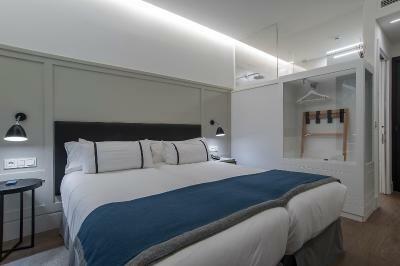 All units at the hotel feature a bright décor, a flat-screen TV and a private bathroom with free toiletries and shower. Some bedrooms have a terrace. The apartments in hotel SANSEbay feature a kitchenette with a dining area. 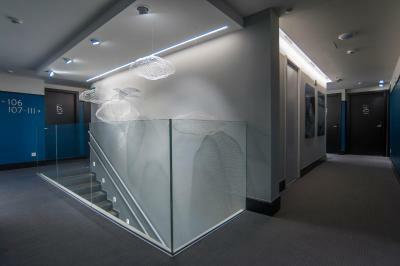 Other shared facilities include a lounge and a bar, as well as free WiFi throughout the property. Breakfast is available every morning at the property. 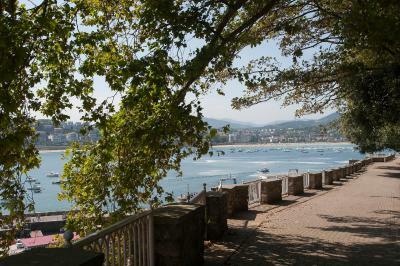 La Concha promenade is an 2-minute walk from Hotel SANSEbay. 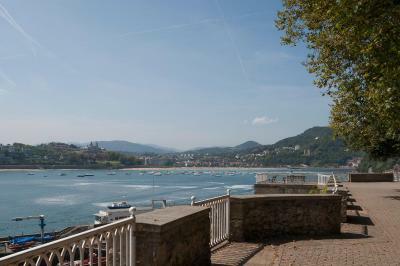 The nearest airport is San Sebastián Airport, 9.9 miles from the property. 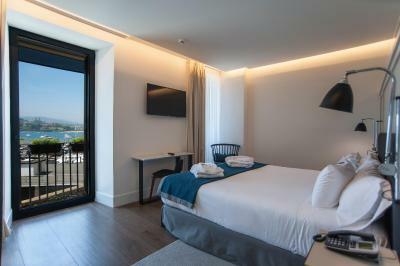 This is our guests' favourite part of San Sebastián, according to independent reviews. Hotel SANSEbay has been welcoming Booking.com guests since 2 Jun 2017. 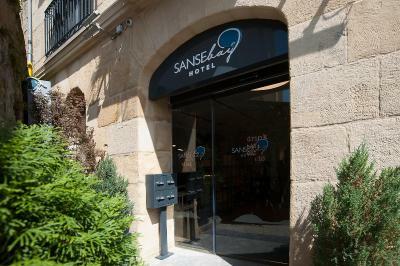 When would you like to stay at Hotel SANSEbay? This double room features a soundproofing, air conditioning and cable TV. 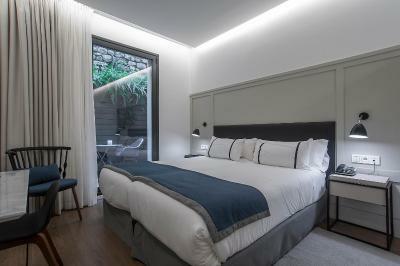 This air-conditioned single room has a large double bed, tile/marble floor, and view to the interior courtyard. 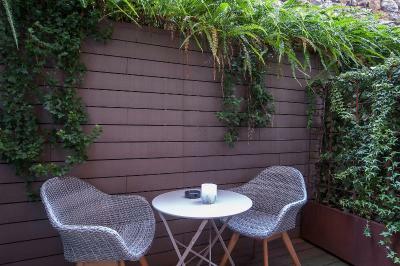 This double room features a balcony, soundproofing and minibar. This family room has a tile/marble floor, cable TV and soundproofing. This family room features a balcony, minibar and flat-screen TV. This apartment has a private entrance, washing machine and satellite TV. This apartment features a microwave, sofa and cable TV. This apartment has a balcony, washing machine and microwave. San Sebastian's old city is something special. One moment you might be exploring a medieval church. Five minutes later, you can be surfing the adjacent beach, one of the best in Europe. House rules Hotel SANSEbay takes special requests - add in the next step! Hotel SANSEbay accepts these cards and reserves the right to temporarily hold an amount prior to arrival. Please inform Hotel SANSEbay in advance of your expected arrival time. You can use the Special Requests box when booking, or contact the property directly with the contact details provided in your confirmation. 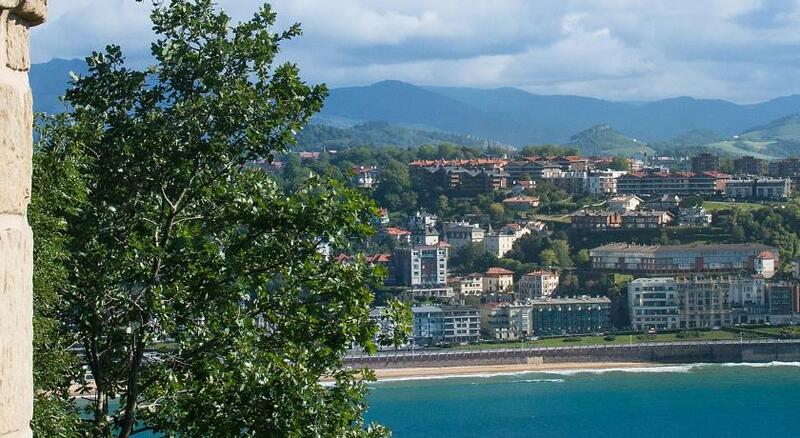 One of the most picturesque neighbourhoods in San Sebastián! The staff, location, and the hotel met our expectations, the only thing we did not like was how firm the bed was. The pillows were soft and cozy, but the bed (at least the one in our room) was very hard to sleep on. Loved that the hotel met our request for a birthday surprise in the room upon arrival. They prepared some candies, balloons, and beer for my boyfriend who was celebrating a birthday. Thanks again! Plus we really enjoyed having coffee and breakfast as an option as soon as we went downstairs. It helps you prepare for your day without the pressure of having to find a restaurant as soon as you walk out the door. It was a bit pricey considering there are no facilities and basic catering. The location was ideal for exploring the city! Super friendly staff, great location. There was some construction work going on - and thanks to that, it was impossible to sleep or work during the day. The walls were even vibrating because of that. 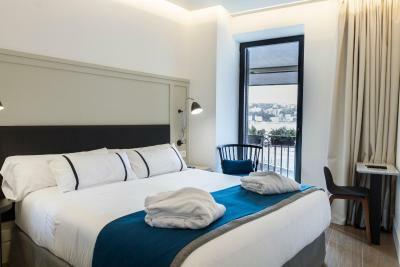 The rooms are really small, nothing to do with the advertised pictures - and the "old city" view is literally a concrete wall, blocking any natural light. The staff is unprofessional and rude, they even ask me to leave the hotel if I wasn't happy with the noise. I wouldn't recommend this hotel/accomodation to anybody. Rooms very tight on space . Corridors uninviting . Only the difficulty of navigating there at night for the first time- although the video was both very helpful and essential !